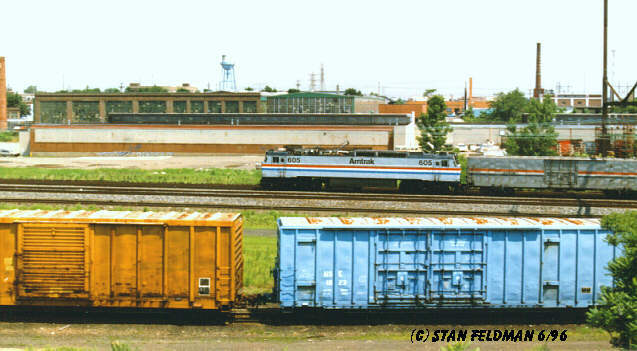 Amtrak Photo Gallery; Page 5 of 14 !! 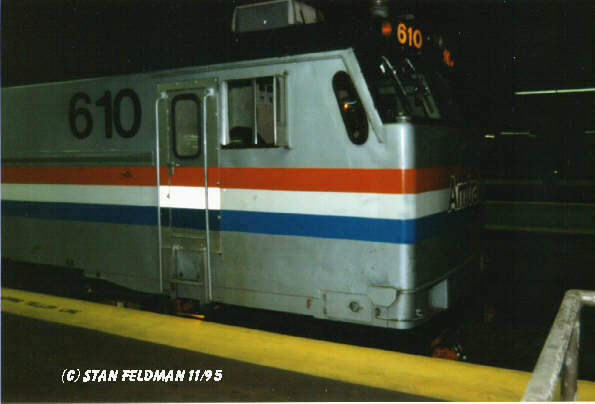 Amtrak Photo Gallery : Page 5 of 14 ! 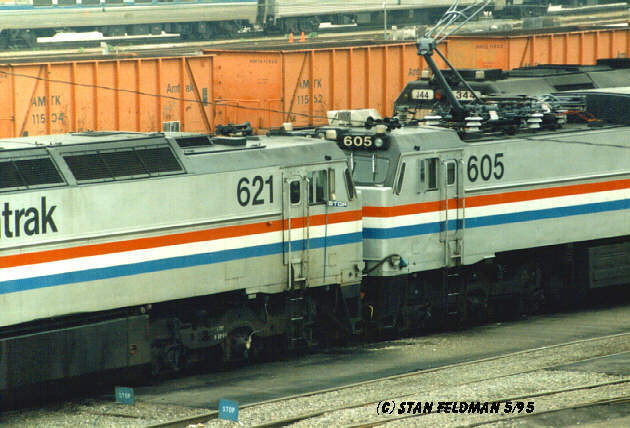 Click here to see Amtrak E-60-MA(E60) #610 in 30th Street Station, Phila. Pa. 11/95. 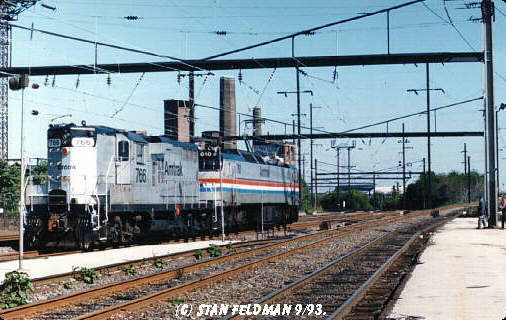 Click here to see Amtrak E-60-CP(e-60) #621 and E-60-MA #605 nose to nose at the Race Street Engine Terminal, Phila. Pa. 5/95. 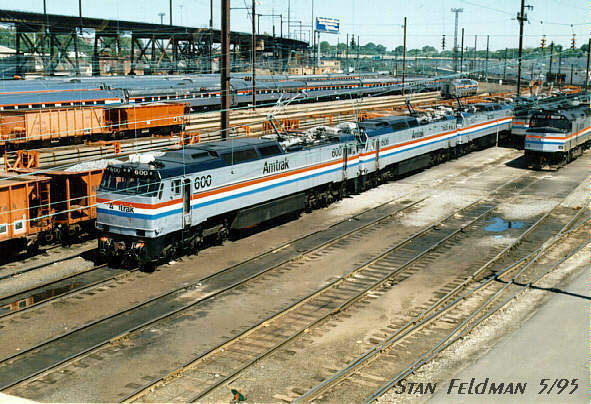 Click here to see Amtrak E-60-MA #600 and several friends, at the Race Street Engine Terminal, Phila. Pa. 5/95. Click here to view Amtrak E-60-MA #609 pulling a long distance train south into Philadelphia Pa.
Click here to see Amtrak E-60-MA #604 running south near Wissinoming Station, Phila. Pa. 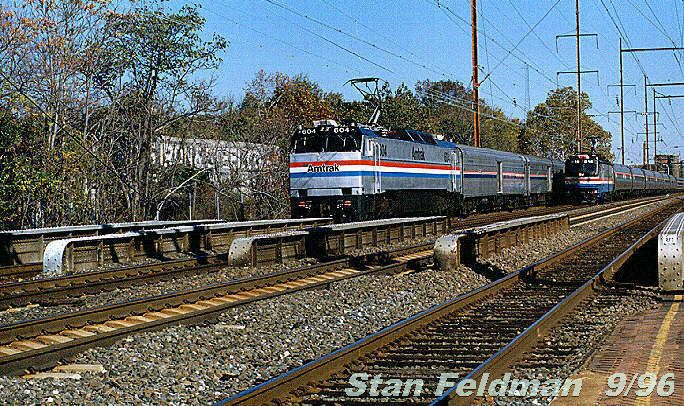 It is about to be passed by a southbound Metroliner. 9/96. 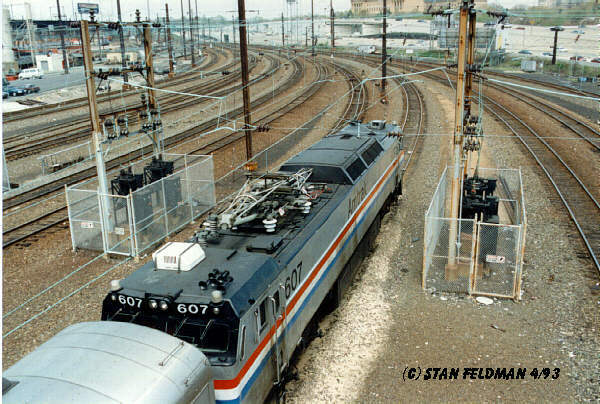 Click here to see Amtrak E-60-MA #607 leaving 30th Street Station, Phila. Pa. heading north to New York and Boston. 4/93. 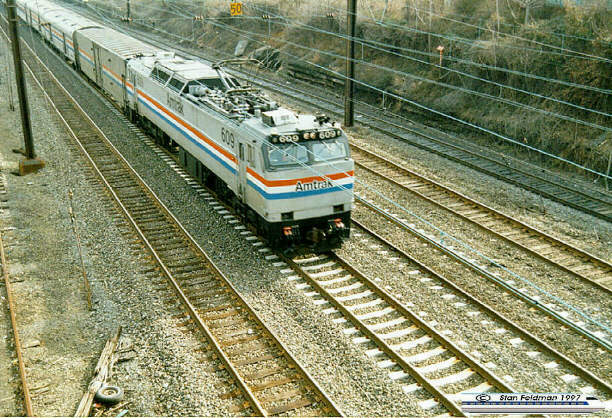 Click here to see an Amtrak light engine move. E-60-MA #610 pulling GP-7 #766 past The old Frankford Junction Station, Phila. Pa. 9/93. 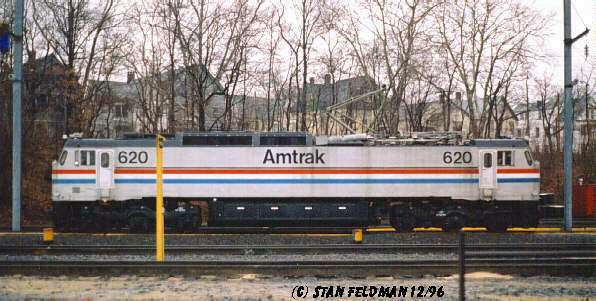 Click here to see Amtrak E-60-CP #620 at rest in the yard at New Haven Conn. 12/96. 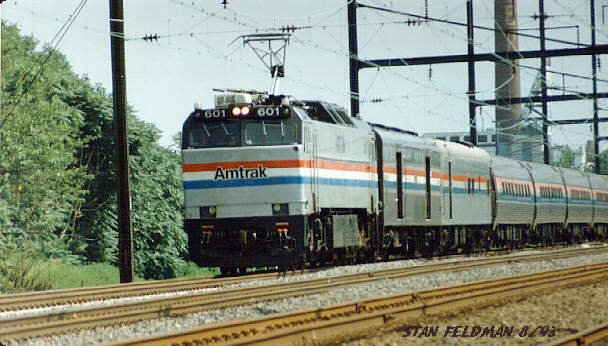 Click here to see Amtrak E-60-MA #606 pulling a mid-morning Keystone Service (Harrisburg-New York) Train near Shore Tower, Philadelphia Pennsylvania. During The Thanksgiving rush, all available equipment is put into service. 11/24/99. Click here to Search Stan's RailPix ! Do you have questions or comments ?